Last June Tpas launched a new service called the 'SMART review'. 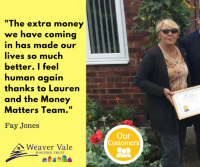 Weaver Vale's Customer Voice Panel (CVP) has unveiled their new-look annual report . 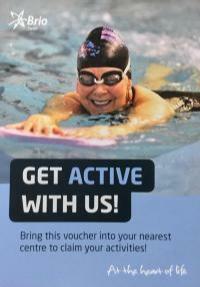 We have teamed up with Brio Leisure to offer swimming vouchers for Weaver Vale tenants to use at Northwich Memorial Court and the Winsford Lifestyle Centre. Read Fancy a free swim? It is fair to say that Fay Jones has faced more than her fair share of adversity over the years.